​Consular officers review DOS online visa applications to assist with questions at the interview. 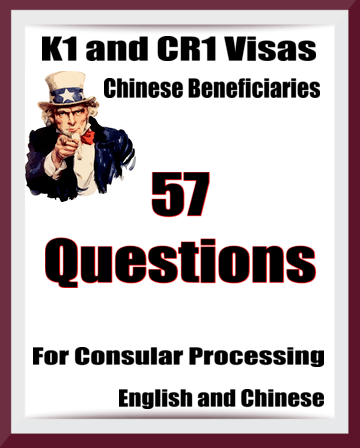 Ask your Chinese spouse or fiancee the same questions. Do it before it's time to complete USCIS forms and DOS visa applications. ​China Certified Documents and Supporting Information gives a comprehensive overview of Chinese legal documents, and supporting information. 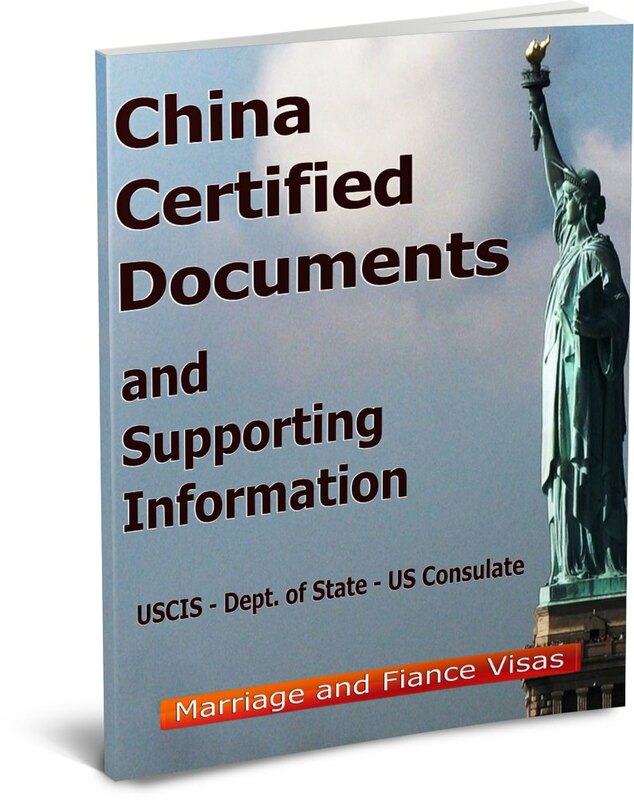 You'll learn where and how to obtain documents in China. How to check documents to see if there valid for USCIS. ​Includes, the next steps your spouse or fiancee must take after you submit the petition. ​Enter your name and email address below. ​We hate SPAM. You'll only receive helpful information. Unsubscribe at anytime.